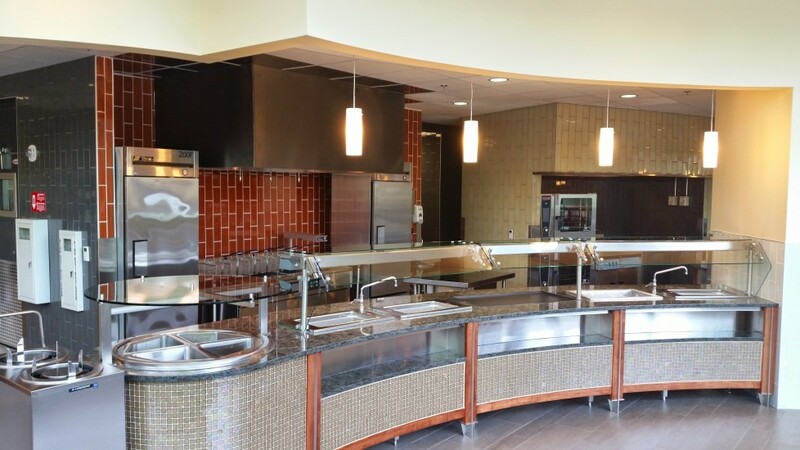 Case Study | Bolton Hall | LTI, Inc. 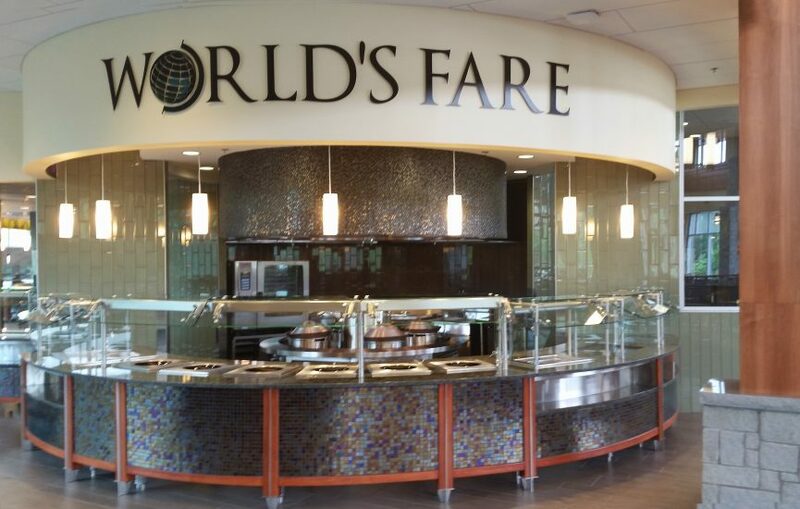 The Bolton Dining Hall at UGA is in a newly constructed building on a campus rated in the top 10 for best campus food, so the project demanded a stellar design and installation. 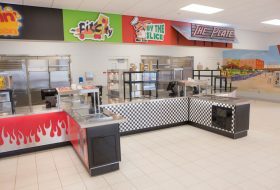 With seating for 1000, patrons can take advantage of a variety of food that emphasizes exhibition cooking and small-batch production in order to promote freshness and quality. 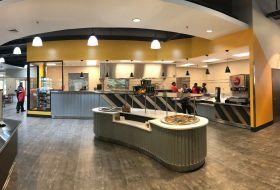 Bolton boasts 10 food concepts, including a bakery, a grill, a 24-hour breakfast counter, a deli, a Mexican food section, an Asian food section, a pasta section, a rotisserie section, a section serving traditional food and a milkshake bar. 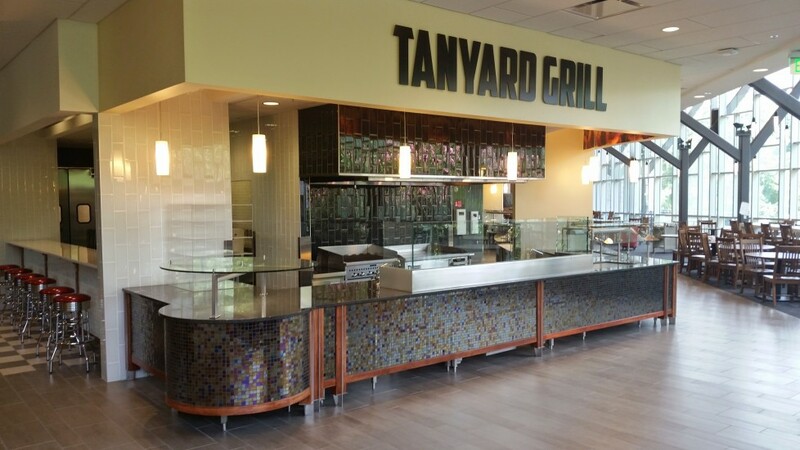 This two- story venue has led to a 5% increase in meal plan participants across the campus. 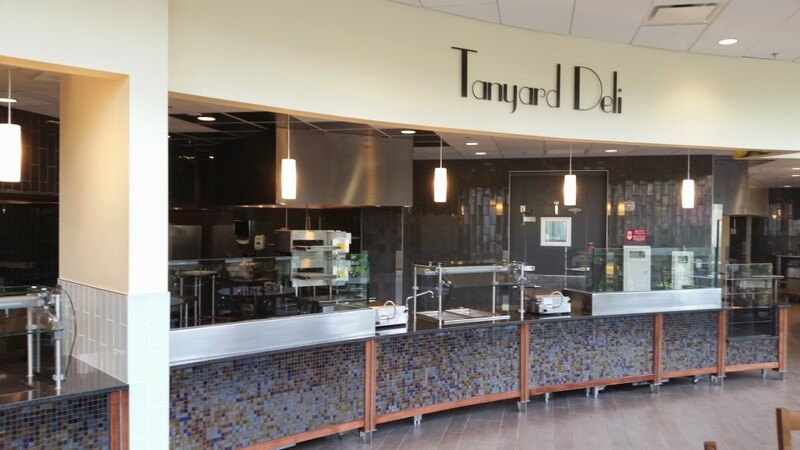 LTI provided counters from a variety of materials including stainless steel, Quartz, marble and granite. Details include decorative counter legs that are solid wood with stainless insets. To ensure that the counter is level each leg was cut onsite to insure a perfect fit. 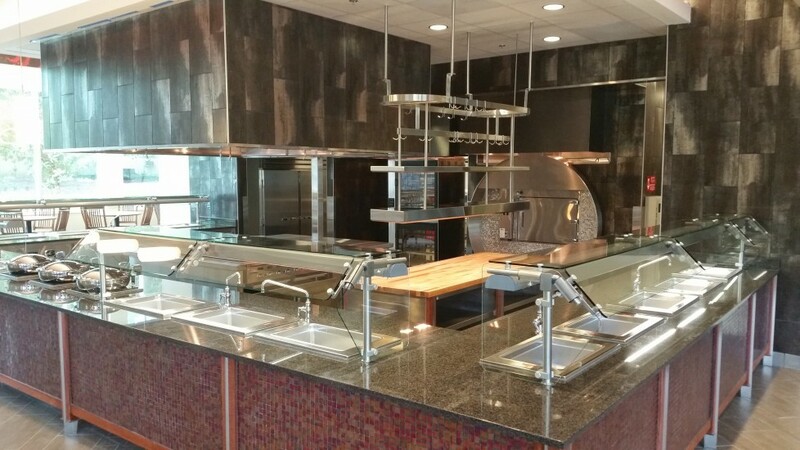 A fire and ice station includes open burners and a raised TempestAir cold rail. 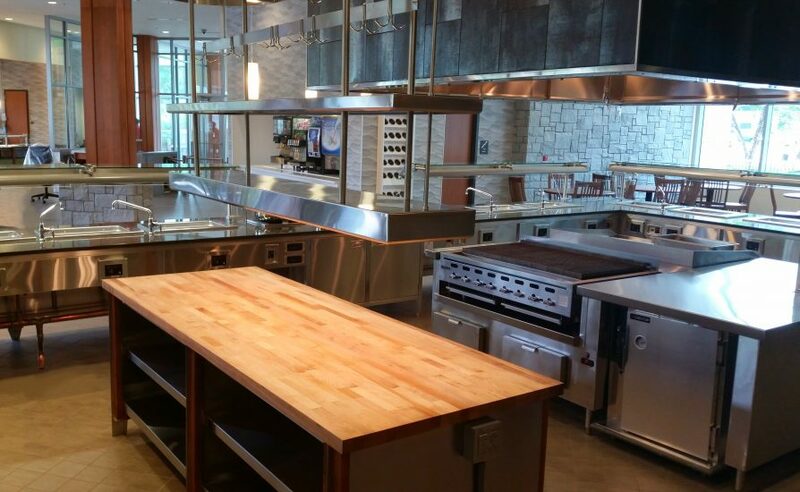 All the chef’s counters, back of house work tables and sinks were provided by LTI. 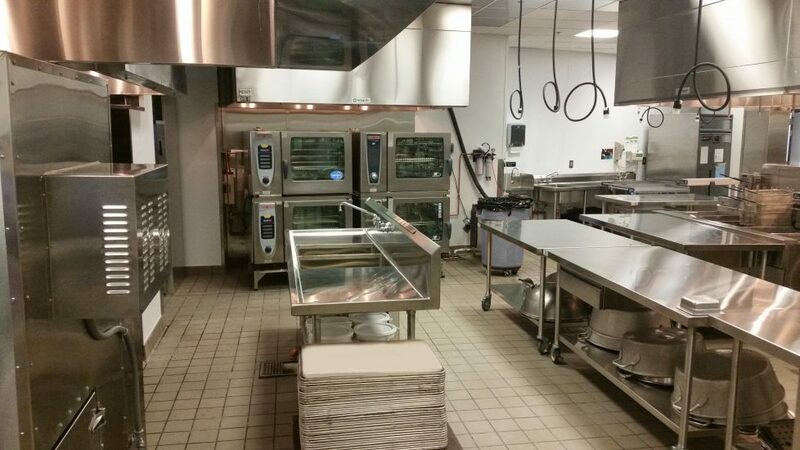 Counters wired at the factory using electrical load centers. 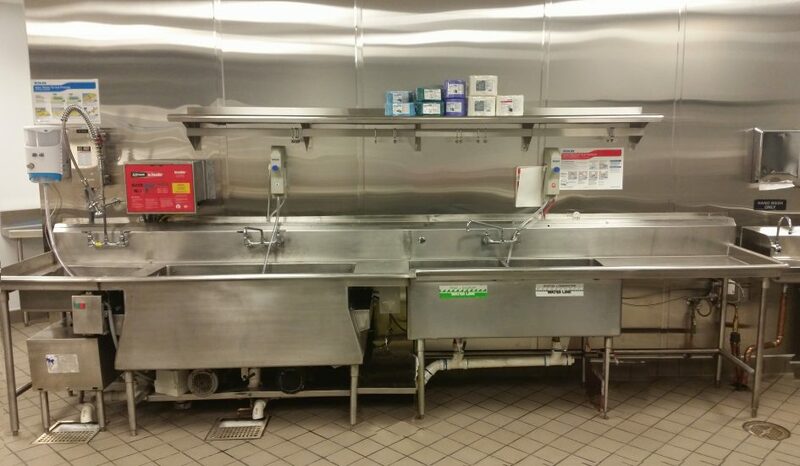 LTI had a crew on site for four weeks to assist with and install the counters which were built to customer specs. 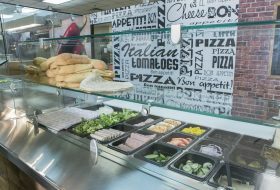 The ongoing relationship between LTI and The University of Georgia Athens Food Service department goes back more than 25 years and has led to close collaboration on this and many other projects on campus. 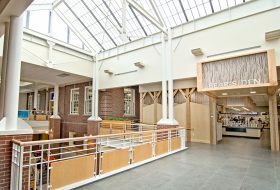 Dealer: Manning Brothers Food Equipment Co.
Bolton boasts 10 food concepts, including a bakery, a grill, a 24-hour breakfast counter, a deli, a Mexican food section, an Asian food section, a pasta section, a rotisserie section, a section serving traditional food and a milkshake bar This two- story venue has led to a 5% increase in meal plan participants across the campus. 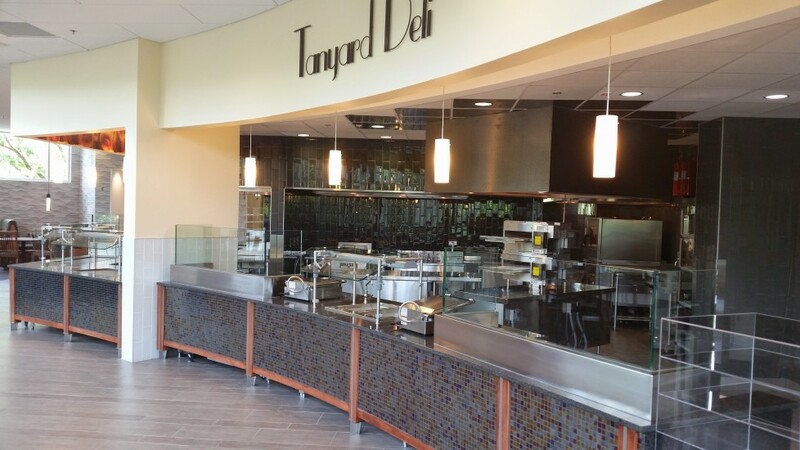 LTI provided counters from a variety of materials including stainless steel, Quartz, marble and granite. 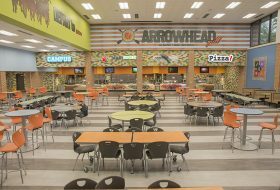 Details include decorative counter legs that are solid wood with stainless insets. To insure that the counter is level each leg was cut onsite to insure a perfect fit. 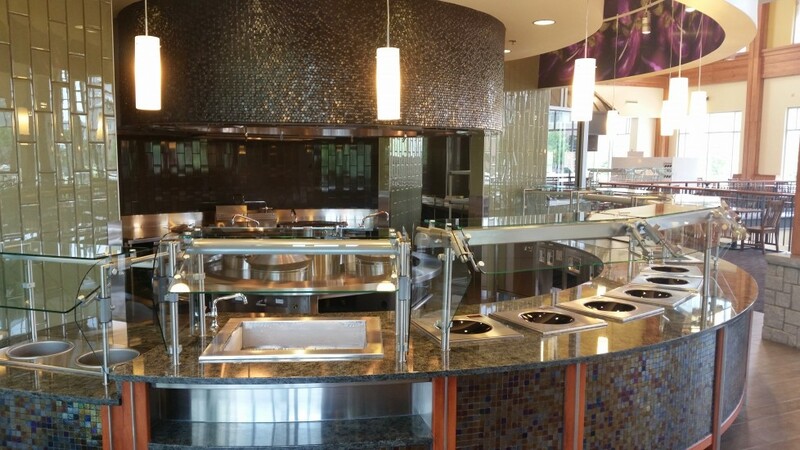 A fire and ice station includes open burners and a raised Tempest-Aire cold rail. 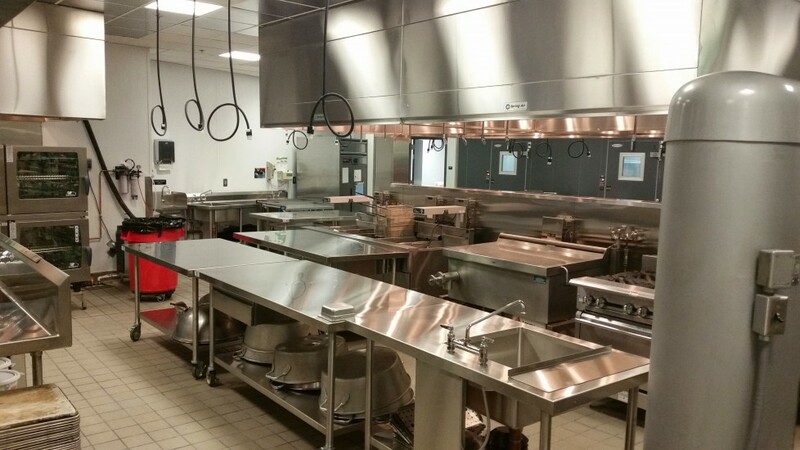 All the chef’s counters, back of house work tables and sinks were provided by LTI.